Click on 'New' at any time to restart with a fresh grid.! If you are correct, the word will disappear from the list. Click 'New' at any time to start a fresh puzzle. Watch out for overlapping words. HAVE FUN! The next one is tougher! If you are correct, the word will disappear from the list. Watch out for overlaps. 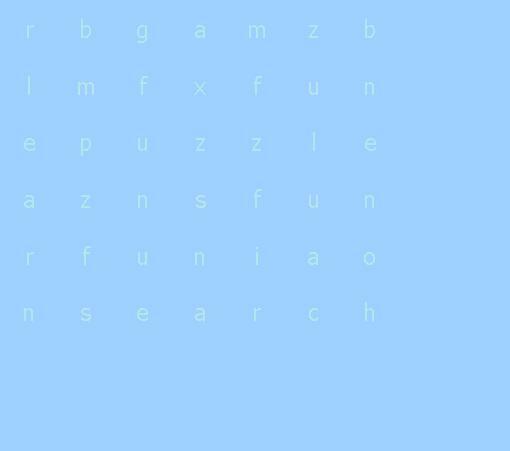 These Wordsearch puzzles were created by Jethro Hill of GAMZ.